(CBS News) What's the recipe for a stress-filled life? According to new research, being young, a woman, having a low education level and/or having low income represent the most stressed individuals in the United States. A new study, published in the Journal of Applied Psychology in the June 2012 issue, marks the first time scientists have been able to track the level of stress across the U.S. over time. Self-reported stress levels increased between 10 and 30 percent over all demographic categories between 1983 and 2009. "We know that stress contributes to poorer health practices, increased risk for disease, accelerated disease progression and increased mortality," study author Dr. Sheldon Cohen, the Robert E. Doherty Professor of Psychology at Carnegie Mellon University in Pittsburgh, Pa., said in the press release. "Differences in stress between demographics may be important markers of populations under increased risk for physical and psychological disorders." High stress can lead to health problems such as high blood pressure, heart disease, obesity and diabetes, according to the Mayo Clinic. Researchers looked at telephone survey data collected in 1983 and online surveys that were conducted from 2006 and 2009 to compile their data. Each survey consisted of at least 2,000 Americans and used the Perceived Stress Scale (PSS), which was created by Cohen to determine the stress level that arises from certain life situations. In general, not only were women more stressed, but the study found that stress levels also increased with decreasing age - meaning 20-year-olds were more frazzled than 30-year-olds - and with lower education and income levels. Stress levels for women increased 18 percent, while men's stress levels increased 25 percent over the study time period. While minorities were more stressed than whites, the differences were negated when other demographic factors were taken into account. Although unemployed people were the most stressed, retired people normally reported lower stress levels. The recession from 2008- 2009 didn't increase stress levels that much for Americans, except for white, middle-aged men with college educations. Their stress levels increased greatly, perhaps because they had both their jobs and their savings at stake, the researchers hypothesized. Cohen pointed out that because the surveys were conducted differently, it may not necessary mean that people are, in general, more stressed in this day and age. The difference may have made people more likely to report stress in one method over another. "It's hard to say if people are more stressed now than before because the first survey was conducted by phone and the last two were done online," Cohen said. 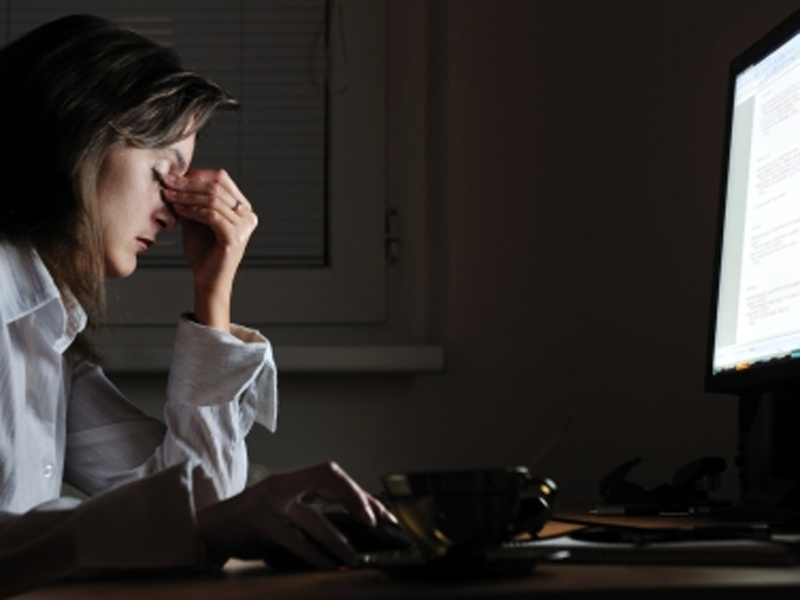 "But, it's clear that stress is still very much present in Americans' lives, putting them at greater risk for many diseases such as cardiovascular, asthma and autoimmune disorders." Psychiatrist Dr. David Spiegel, director of the Center on Stress and Health at Stanford University School of Medicine in Stanford, Calif., told USA Today that he felt Cohen's study was sound and made perfect sense. "Economic pressures are greater, and it's harder to turn off information, and it's harder to buffer ourselves from the world," Spiegel said to USA Today.